I had grand plans for my weekend at the barn, but they were derailed after I put two giant goose eggs on my shin bones during my CrossFit workout Saturday morning. I didn't quite get my feet high enough on a 24" box jump part way through my workout, when I was getting fatigued, and hit the box with my shins. I tried my half chaps on later that day and couldn't get them off fast enough! No serious riding until those heal, for sure. So Connor got one brief ride, mostly at the walk, instead of two long ones. Worse things have happened. 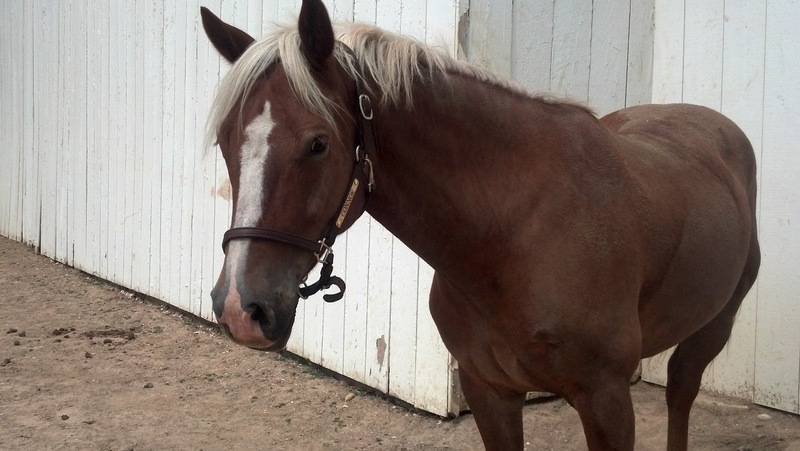 I still have the more formal one my mom got us for Christmas, which will go on his eventual show halter. For now, I'm just happy that I won't have to sort through all the leather halters on the rack to find the little one anymore! 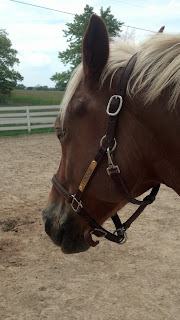 I also put the nameplate with my name on his leather lead, cleaned out my tack trunk, identified a whole mess of bits I'm going to sell, and loved on my little guy. Good day, good day indeed. Ouch! I guess cross fit training can be as hazardous as riding! Connor looks so handsome with his nameplate halter. I know, I always figured it would be a riding injury that kept me from working out, but so far it has only been the other way around! Shin guards for cross-training next time, maybe? Sounds like a worthwhile day at the barn all the same, regular tack clean outs are a necessary evil.